Take selected slots for a spin and you could be heading to Rio for the 2020 Mardi Gras. Carnival Missions is a promotion that’s running at a number of casinos this week. These include Casumo and brands on the Jumpman Slots Network. If you would like the chance to win cash prizes or samba-ing your way to Brazil then find out how to get involved below. Carnival Missions takes place between the 11th and 17th February 2019. There are three segments to this promotion: Lantern Festival (11th to 12th), Venice Carnival (13th to 14th) and Rio Carnival (15th to 17th). Each segment features two or three particular slots. 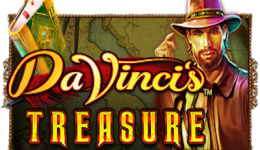 In order to be in with a chance of winning, players need to complete the missions in the fewest number of spins. For example for the Lantern Festival players need to collect 88 Hanzo symbols on Hanzo’s Dojo AND collect 30 Free spin symbols on Vikings Go Berzerk. The minimum bet for this segment is 50p. The slots for the Venice Carnival are Trolls bridge and Valley of the Gods. Here players either need to collect 2 Bonus Stones AND collect 100 scarabs. Note that the minimum bet for this stage is 40p a spin. Finally the Rio segment features Vikings Go Wild (collect 30 Free Spins symbols), Spina Colada (collect 3 feature icons) and Vikings Go to Hell (collect 100 Free spin symbols). The minimum bet is 25p. Players who complete these missions in the fewest spins will win the prizes. For parts 1 and 2 of Carnival Missions the prizes are all cash. Top prize for the Lantern Festival is £2500 and there are a further 99 prizes. When it comes to part 2, Venice Carnival, the first prize increases to £3500. In addition there are a further 149 prizes. Play in part 3 and you could win the top prize of a holiday to Rio worth £10,000. 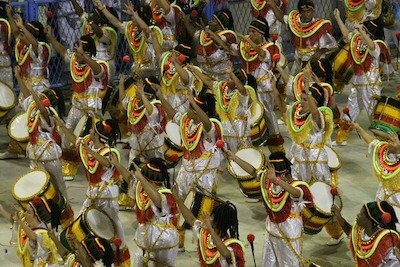 The winner can head to Rio Carnival in 2020 or opt to visit at a quieter time. Alternatively an £8000 cash prize can be accepted. A further 299 cash prizes will also be awarded. Note that this is a network promotion and therefore prizes are offered to players across all sites. Wagering terms and conditions apply. All details above were correct when published on February 12, 2019.